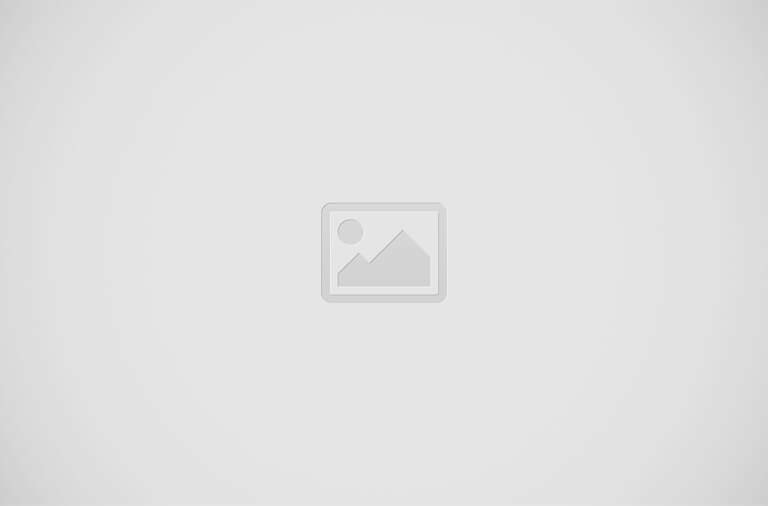 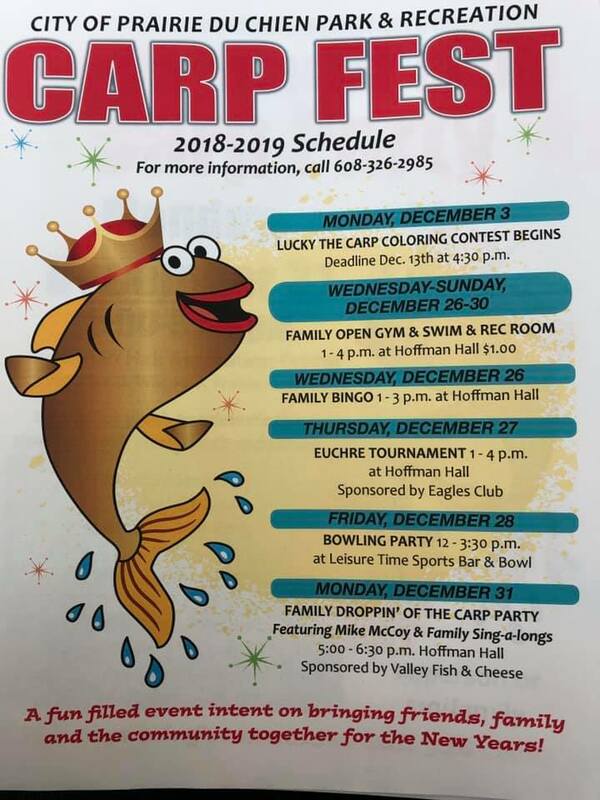 December 26-Jan. 1: Carp Fest, Week long family orientated activities including lighted sledding hill, torchlight ski/hike, skating party, bowling, snow bowl football, hot air balloon rides-weather pending, ice fishing and more. 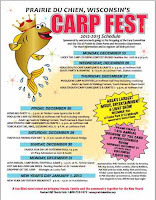 Event cumulates with the annual Droppin’ of the Carp. 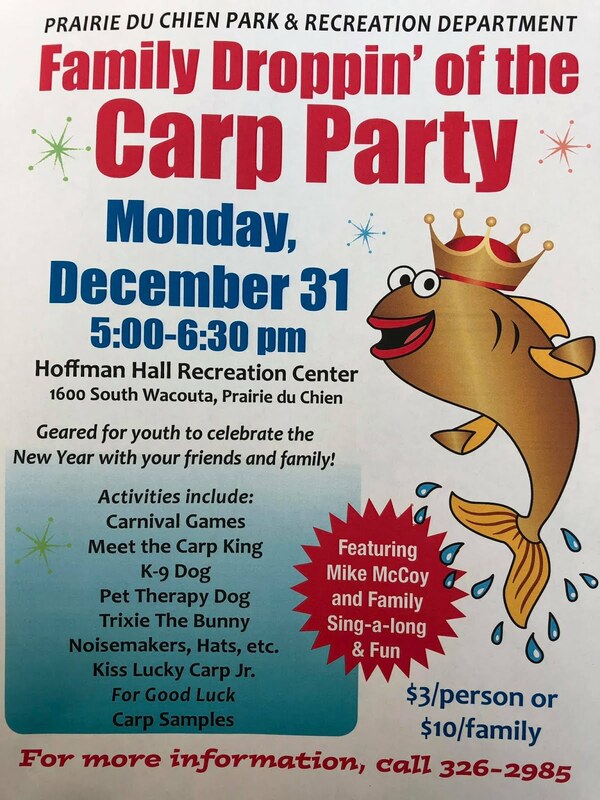 For a list of activities contact the City Parks & Rec, 608-326-7207. 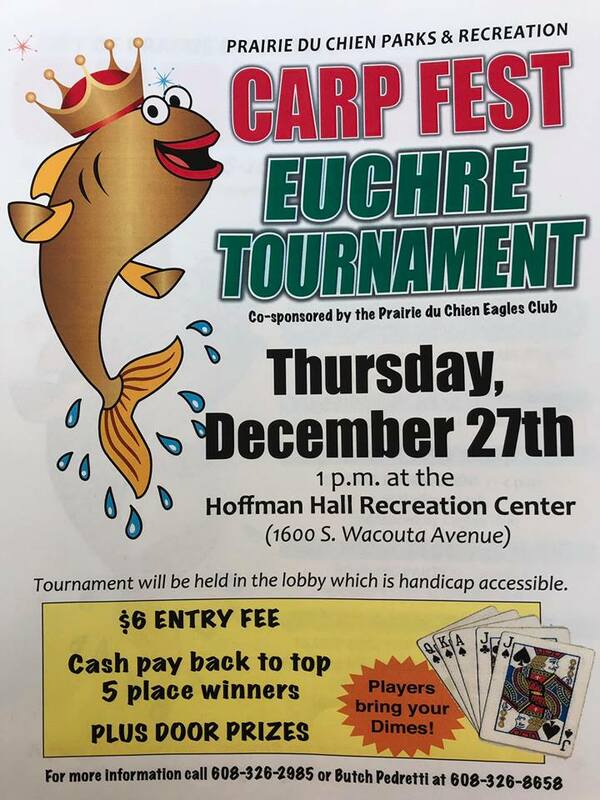 Main Activity flyer. Click to view and download. 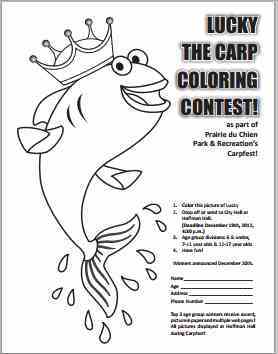 Coloring Contest Click to View and download.